Many New York City apartment buildings, especially older ones, rely on steam heat. If you're temporarily subletting or renting an NYC apartment through Airbnb, you need to know what to do when the heat needs regulation. Being compelled to spend time in a freezing or boiling apartment can ruin any visit. If you can regulate your own heat with an individual thermostat, that's your warmest bet. But, your apartment's heat may be inextricably tied to that of the entire building. So some apartments in the building will be toasty, others too hot, and others freezing, all on the same day. In some buildings, the left side units are always cold and the right side apartments too hot. Unless you have an individual thermostat in your apartment, you can't shut off the radiator valve. 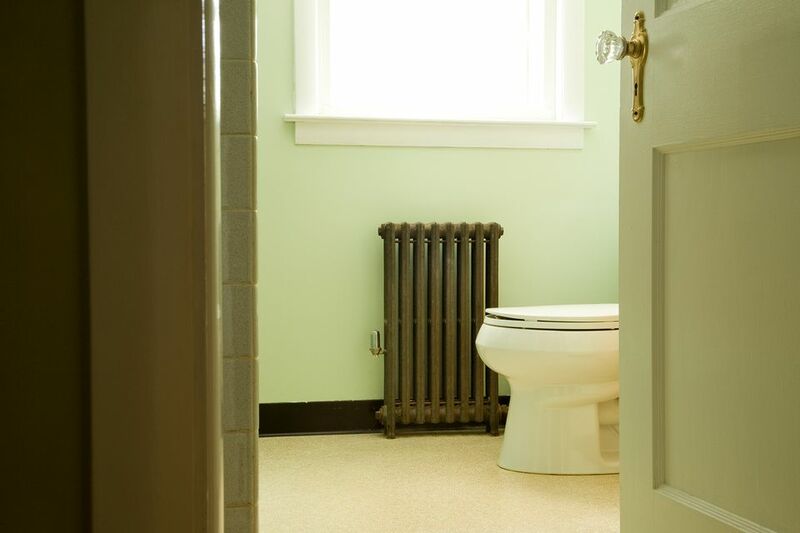 In a standard steam-heated building, the "shut off " valve on your radiator isn't meant for you to use. It's a technical feature that exists only to isolate the radiator from the system in case of failure or service to that radiator. Don't touch the valve; it may look user-friendly, but actually, it's not an alternative to a thermostat. If there's not an individual heat regulator in your apartment, then that means your entire building is set to receive the same heat. And there's no halfway with your radiator valve. If you open it halfway, the system cannot operate the way it is designed. And, you might cause a leak. If you are cold, complain to your landlord, or call 311 and file a complaint. Insulate. Beware of space heaters; they can be very dangerous. If it's too hot, you can open a window to cool things down. Banging in a steam heating system often is caused when steam comes into contact with cooler condensate (water). Other causes of banging might be a dirty boiler or a back pitched pipe. But in older systems that were installed by steam heating experts and have not had any incorrect modifications, it usually is the result of someone using the shut-off valve to try to regulate the heat. If your pipes are banging, have the landlord call a plumber. However, some heating systems in NYC apartment buildings, especially older buildings, are just noisy. Steam heating brings heat to your apartment in the form of steam. Once it's in your radiator, this steam cools down, turns to water, and returns down to the boiler. Steam system pipes are large because they do double duty: They carry the steam to a radiator and also return the condensate (that is, water that condenses) from the radiators through the same pipe. The heating cycle can be interrupted when someone shuts off the valve at the radiator, or even just screws it a bit open. Then there's not enough room for both the hot air rising and the cooled down water to co-exist. Thus, some condensate may leak out of the air valve. When the water leaks from your radiator, it might pool on your floor or leak into your downstairs neighbor's apartment. It doesn't take much for water from your heater to show up in their ceiling. There's a mechanical seal around the stem of the valve. This piece of hardware can wear down, for instance, when the valves are turned on and off by residents who are trying to adjust their heating, and the result can be a leaking valve.